Packaging labels often are imprinted with screaming promotion texts in gaudy colours in their attempt to attract the attention of the consumer, who often can’t see the wood from the trees. Luckily some consumer product companies are using a more educated market approach. To stand out on the crowded supermarket shelves they introduce real art in the printing of their packages with just a trifle of company promotion, inviting the consumer to reach out for the product to know more about it. I sampled three recently introduced packages which combine art and packaging design so perfectly that they became collectables. 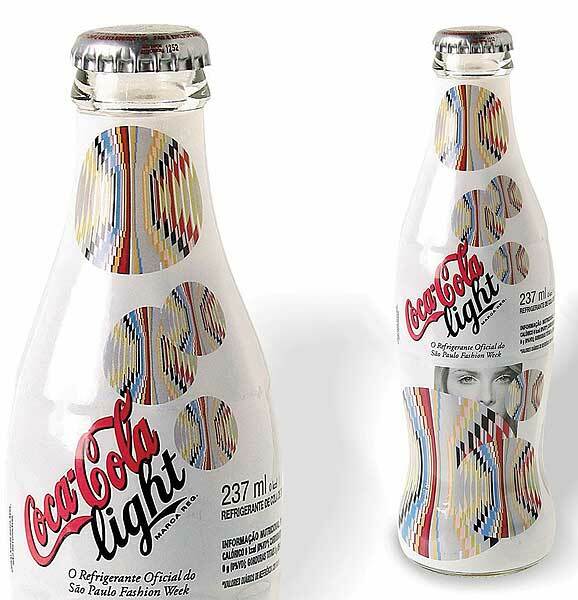 Each year during the Fashion Week in São Paulo, Coca-Cola Brazil launches its limited-edition Coca-Cola Light bottle decorated with a full-body shrink film from Sleever International. The 237-ml glass bottle exclusively distributed during the Fashion Week and exclusively at places participating in the event has an outstanding printing quality for a fashion world highly sensitive to the aesthetic aspects of design and decoration. The company used the Sleever Digisleeve to provide a high-quality personal touch to the decoration, providing full-body decoration with accurate positioning. The differences in the bottle’s diameter were overcome by optimal stretching of the film over the bottle’s contours. The bottle won an ABRE Trophy in Brazil and a WorldStar for packaging. 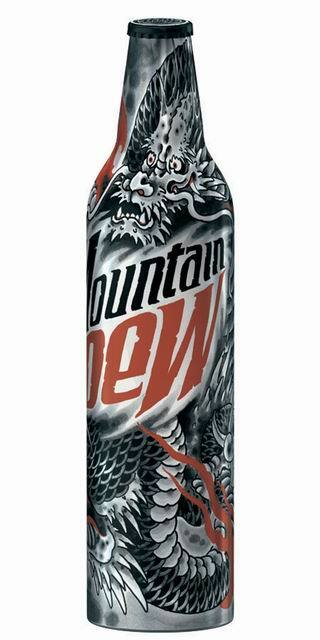 Last year Mountain Dew launched a limited-edition series of aluminium bottles featuring designs created by a variety of artists, the so called Green Label Art. This series marked the first time a carbonated soft drink was packaged in an aluminium bottle in the USA. The Green Label Art artists are an eclectic mix, ranging in style and notoriety, from apparel and sneaker designers to a vinyl action/toy designer and a lead singer from a top indie band. The artists were given a plain, 16-oz (474 ml) aluminium bottle and asked to create their expressions of Mountain Dew. Treating the bottles as a canvas, the artists used a variety of approaches and applications including: tattoo design, cut-and-paste materials, paint, charcoals and computer graphics. 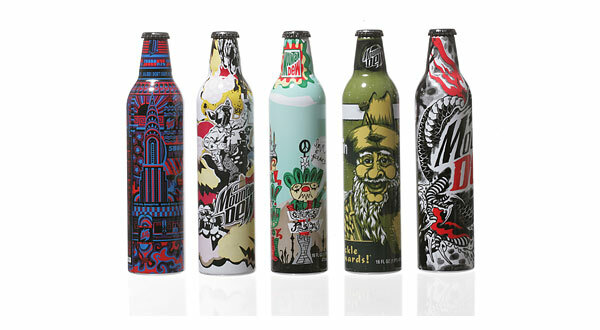 No doubt, art and packaging design combine perfectly. 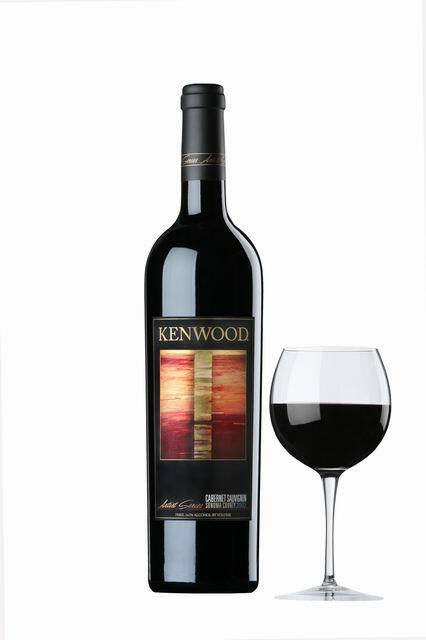 After more than two decades in the limelight, Kenwood Vineyards‘ highly-acclaimed Artist Series Cabernet Sauvignon reigns as a premier marriage of fine art and fine wine. The combination of the fine art of winemaking with the work of contemporary artists creates an elegant, easily identifiable package, while promoting beautiful artwork at the same time. The artistry displayed on the bottle and within makes each new Artist Series release an event and every Artist Series vintage a prime collectable. Yet Kenwood Vineyards has always seen the Artist Series Collection as a work in progress, with each vintage a unique opportunity to excel. 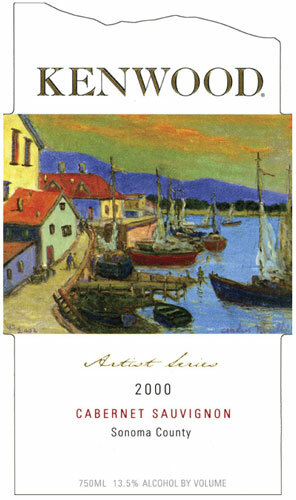 In the years since, the Artist Series has presented art by important artists from the past, including Pablo Picasso, Henry Miller, Alexander Calder and Tamara de Lempicka. 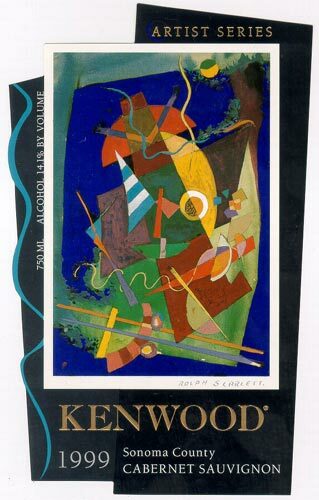 The Kenwood Artist Series for the Cabernet Sauvignon 2002 shows the inimitable style of the artist Kenjilo Nanao. The labels are pressure sensitive (so they can easily peeled off) and are printed on Estate # 8 paper. The label is six colours with foil stamping, with a high build silk screen. Heck Art in Beverly Hills, CA did the design adapting Kenjilo Nanao’s artwork. For more images and enlarged images click here.